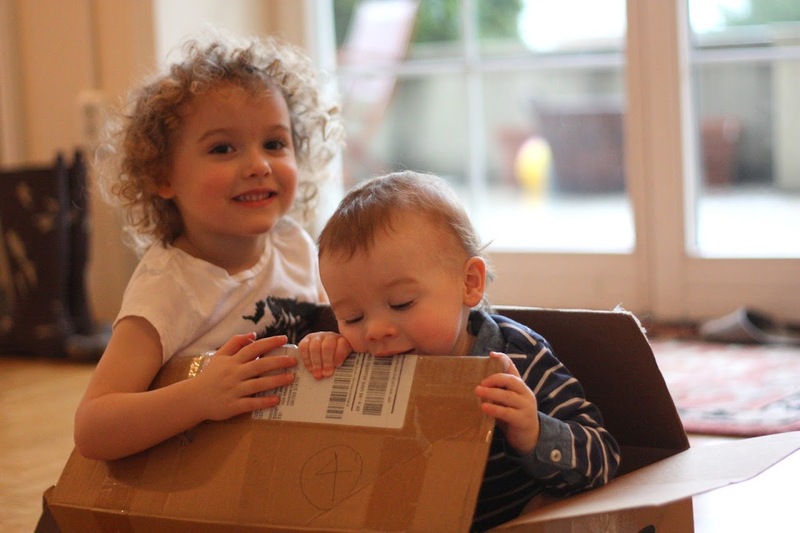 ...and they had fun in a box for about TWO glorious HOURS. They cuddled in the box. Played "pirates" in the "boat box." One of them removed and ate the shipping label off the box. They watched Oswald in the box. Don't they look engaged? There's something about this box. 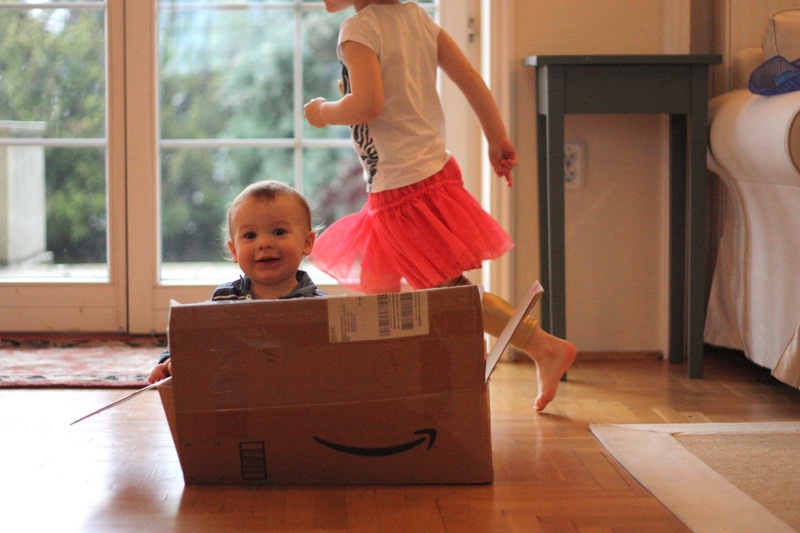 They played chase around the box. 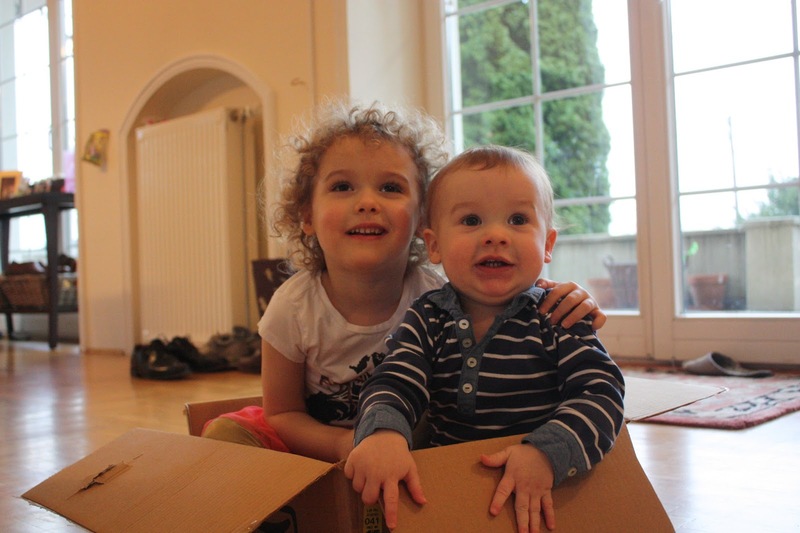 They were happy to just sit in the box. 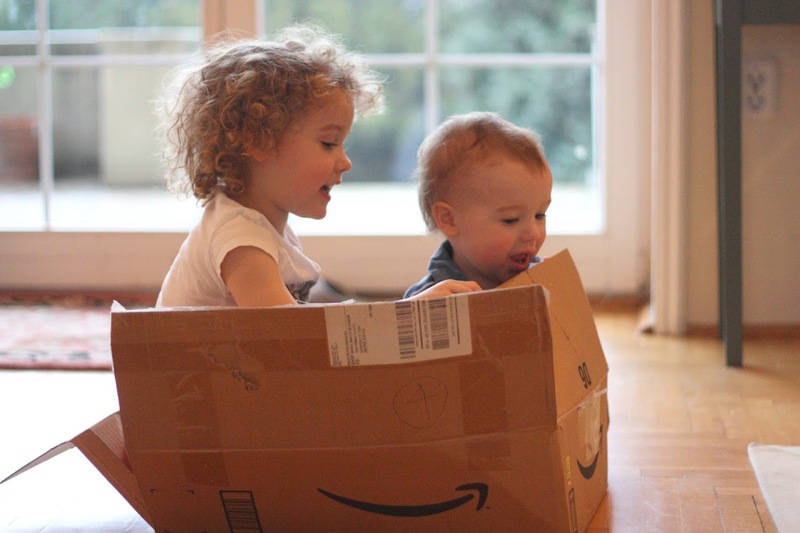 Never underestimate the fun that one cardboard box (and a few Dr. Suess books) can provide your children! 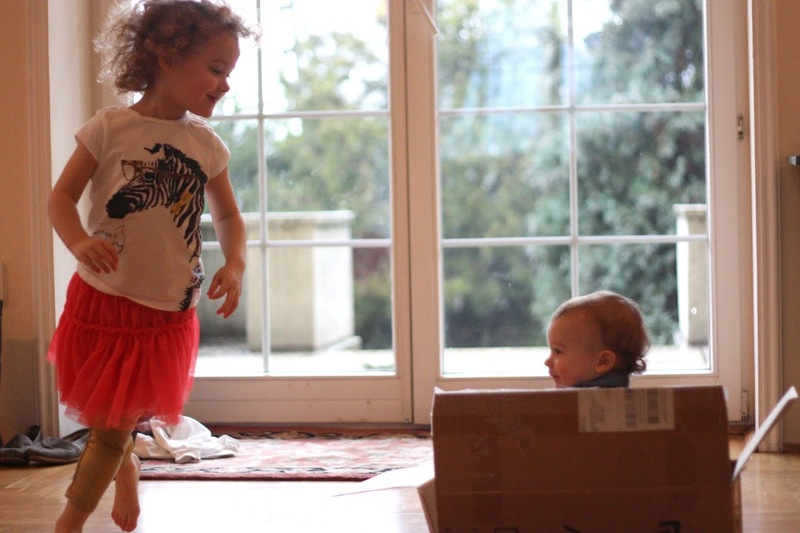 So although it was too wet to go out and too cold to play ball, we had fun with a box (it was not boring at all). I have some friends (texans!) who have been in Budapest for a year, (moved for missionary work) if you happen to be interested in meeting them, let me know! I often wonder why we buy our children toys. 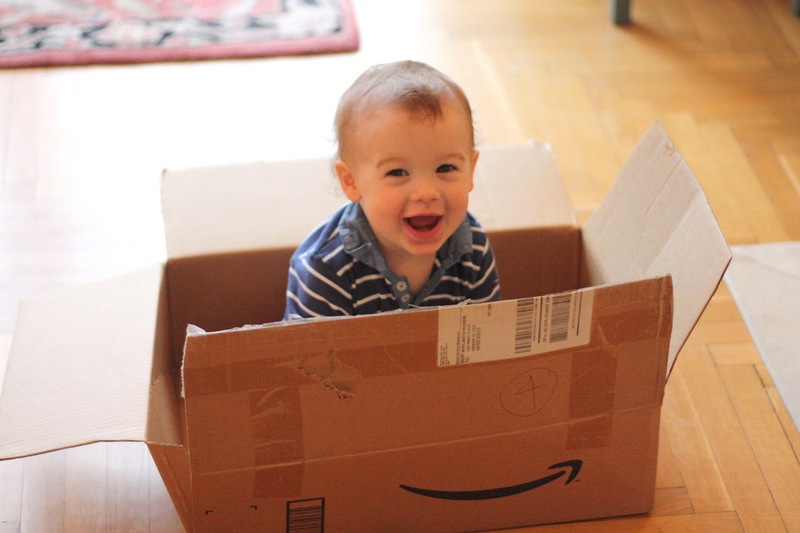 They are always more excited about random household objects and boxes. 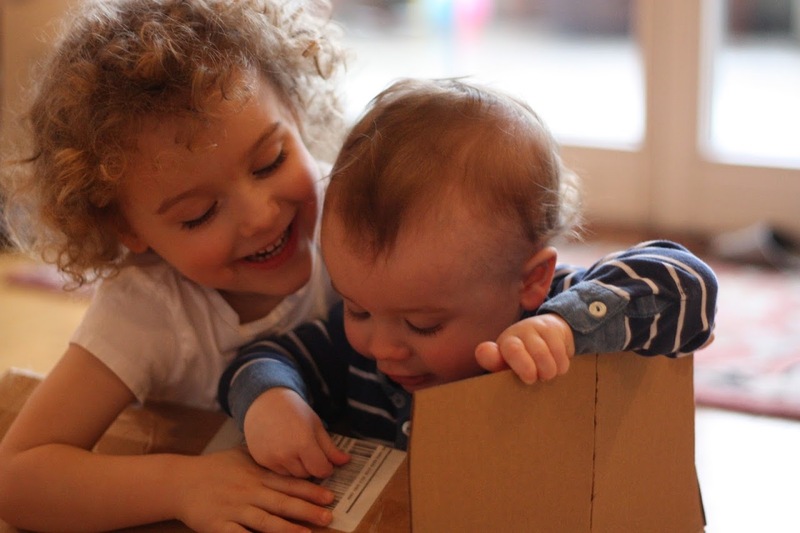 My kids love to play in diaper boxes! 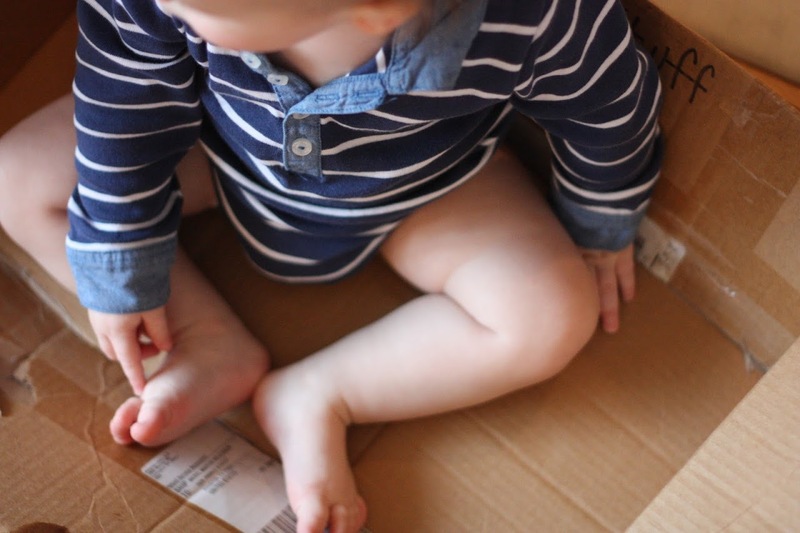 so cute.. my son loves playing in boxes too..
Gosh, they are TOO cute!!! Your house looks so full of natural light, I'm envious! it seems like the most loved toys are always found or free. they look so happy. you're doing a good job, mama!